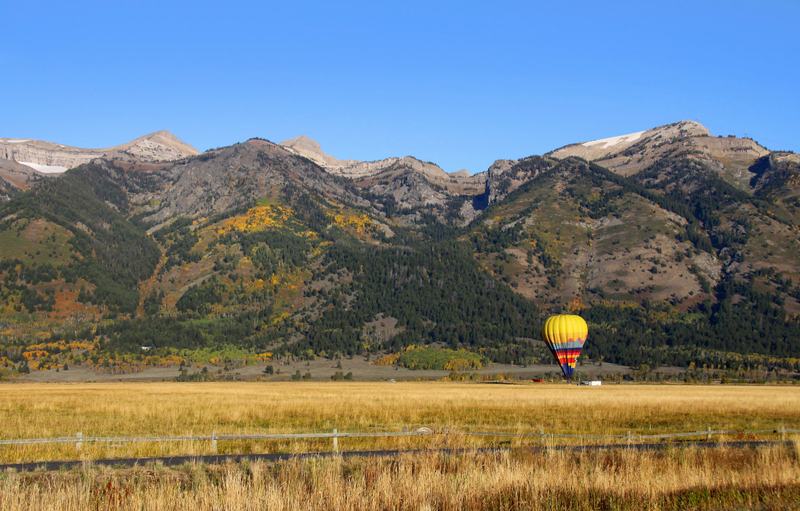 Wyoming Balloon Company flies from a launch site located on a ranch bordered by the Grand Teton National Park, Snake River, and Teton Village. Take off times usually begin around 6 am and you can expect to be back on the ground around 9 to 9:30 am. This balloon company offers an hour-long flight, celebratory drinks and certificates, and lifts to and from hotels in Jackson and Teton Village. Teton Balloon Flights affords views of the Tetons, Teton Valley, Swan Valley, and possibly The Grand Teton. The balloons can travel anywhere from 4 to 8 miles through the sky and flight length averages about an hour. Upon reaching solid ground, they conclude with a traditional French celebration. Nevertheless, whichever option you decide to choose, scenic views, peaceful rides, and time well spent is a guarantee. 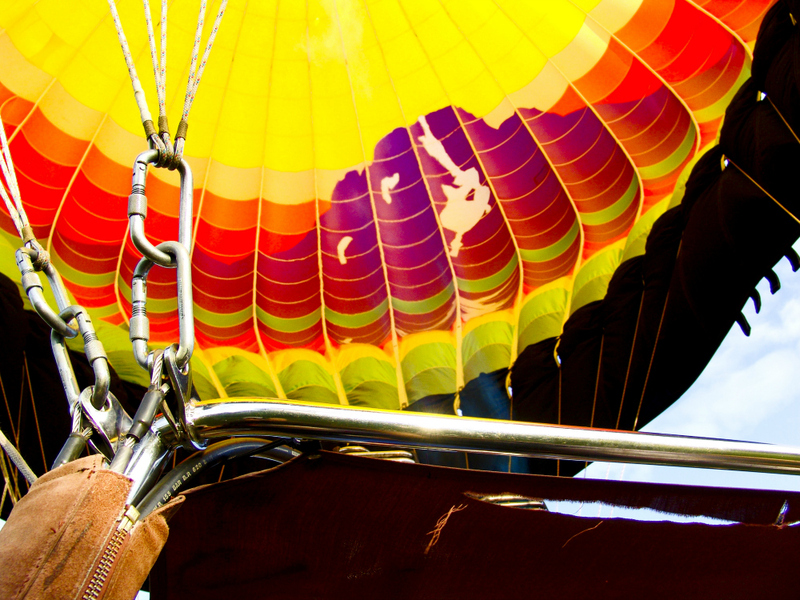 If you are more interested in seeing the balloons rather than riding them, The Teton Valley Summer Festival takes place in the first week of July. It includes a craft and street fair as a part of the festivities as well. 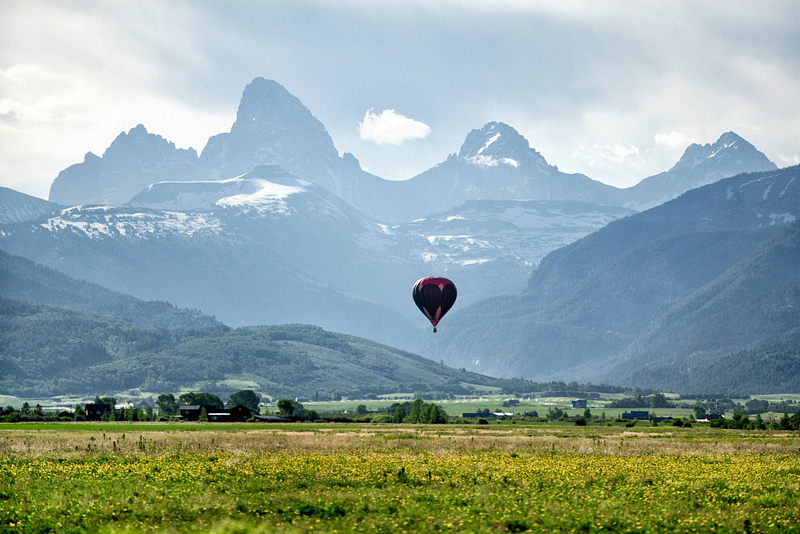 Over 40 hot air balloons ascend into the sky in the mornings to race among the Tetons.